The Senate Intelligence Committee concluded that the 2017 Intelligence Community Assessment (ICA) that found Russia interfered in the 2016 election in an effort to help President Trump and hurt Hillary Clinton is "a sound intelligence product." The newly released, unclassified 7-page report -- whose conclusions the Republican-led committee previewed in May -- put to rest some questions that had arisen about the integrity of the assessment and the political agenda of the agencies that authored it. "The Committee has spent the last 16 months reviewing the sources, tradecraft and analytic work underpinning the Intelligence Community Assessment and sees no reason to dispute the conclusions," said Chairman Richard Burr, R-North Carolina, in a statement accompanying the report's release. "The Committee continues its investigation and I am hopeful that this installment of the Committee's work will soon be followed by additional summaries providing the American people with clarity around Russia's activities regarding U.S. elections." In its report, the committee said it had conducted numerous interviews with senior intelligence officials and reviewed the analytic procedures that informed the ICA, which was commissioned by former President Barack Obama in late 2016. The committee's report stated unequivocally that it concurred with the ICA's assessment that Russian President Vladimir Putin ordered an influence campaign aimed at the election, and that he and the Russian government had developed "a clear preference for President-elect Trump." It also said that further details have come to light that "bolster" the ICA's findings about the extent of Russia's efforts to undermine the U.S.-led liberal international order and hinted at new findings by the committee that have "exposed a far more extensive Russian effort to manipulate social media outlets to sow discord." Unlike Republicans on the House Intelligence Committee -- whose final report indicated that the ICA's findings on Putin's strategic intentions "did not employ proper analytic tradecraft" and said it had identified "significant…failings that undermine confidence in the ICA judgments" -- the Senate report made no mention of shortcomings. Instead, it said, "the analytical disagreement was reasonable, transparent, and openly debated among the agencies and analysts, with analysts, managers, and agency heads on both sides of the confidence level articulately justifying their positions." 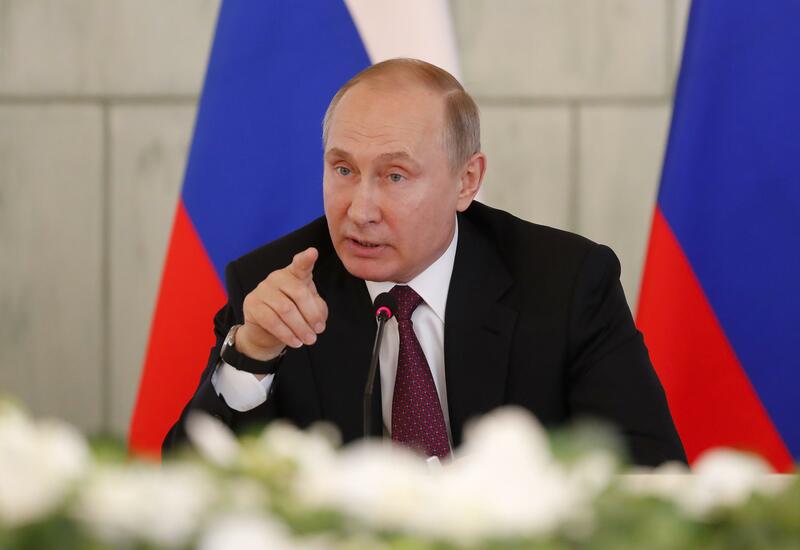 Of the three agencies that contributed to the ICA, the CIA and FBI offered assessments on Putin's objectives with "high confidence," while the NSA's assessment was issued with "moderate confidence." Democrats on the House Intelligence Committee said at the time of the majority's report's release that they had found no fault with any of the tradecraft underlying the ICA. The Senate Intelligence Committee did fault the ICA on two fronts. It said the assessment failed to provide an updated account of the capabilities of RT, the Russian state-funded television network. And, it said, the historical context provided about Russian interference in U.S. domestic politics was "perfunctory," and could have presented a "more relevant historical context." Mr. Trump has been a frequent critic of the work of the intelligence community in general and of some of the ICA's core findings in particular. Last week, Trump tweeted, "Russia continues to say they had nothing to do with Meddling in our Election! Where is the DNC Server, and why didn't Shady James Comey and the now disgraced FBI agents take and closely examine it? Why isn't Hillary/Russia being looked at? So many questions, so much corruption!" The Senate's report said none of the analysts contributing to it provided any indication their findings resulted from political or other demands, saying it "heard consistently that analysts were under no politically motivated pressure to reach any conclusions." "All analysts expressed that they were free to debate, object to content, and assess confidence levels, as is normal and proper for the analytic process," the committee wrote. It also noted that the so-called Steele dossier, which the president and some Republican critics say wrongly prompted or informed an investigation into Trump's campaign, "did not in any way inform the analysis in the ICA ... because it was unverified information." Tuesday's report was one of several the committee will issue as part of its investigation. Reports on the role of social media and on the question of whether the Trump campaign colluded with Russia are expected to be completed in the coming months. "While our investigation remains ongoing, we have to learn from 2016 and do more to protect ourselves from attacks in 2018 and beyond," said Vice Chairman Mark Warner, D-Virginia.